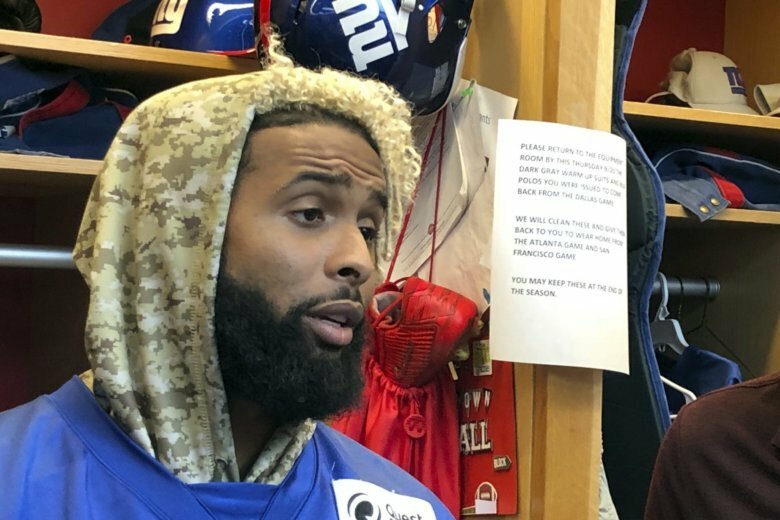 Beckham tweeted about the tests Thursday before the Giants (0-2) practiced for Sunday’s game in Houston against the Texans (0-2). Beckham has never been suspended by the league for using a banned substance. As far as losing, Beckham hasn’t been on the field for a win since the end of the 2016 season. He was hurt in Game 5 last year, breaking his ankle against the Chargers. There are limits to the amount of times a player can be tested. Under the 2018 NFL Policy on Performance Enhancing Substances, the program is run by an independent administrator. A computer randomly picks up to 10 players a week to be tested. Players may have their urine and or blood tested a maximum of 24 times annually for reasonable cause. Offseason tests are limited to a maximum of six urine and/or blood tests per player. Once informed they have been chosen for testing, players have three hours to submit a sample. The program was set up in collective bargaining between the league and the NFL Players Association. Hours after his tweet, Beckham seemed more tolerant about the tests, which he said were for performance-enhancers. Beckham had had an up-and-down season in returning from his injury. He had 11 catches in the opener against Jacksonville and was limited to four against Dallas this past weekend. There were long stretches against the Cowboys where he was not involved in the offense. While the Giants have scored 28 points in two games, Beckham thinks the offense can be potent. “I feel personally, I could score two touchdowns every game,” said Beckham, who has not scored this season. “I feel like Saquon (Barkley) could score two every game. There are other people on this team who could score every single game. The most recent time Beckham won a game was the regular-season finale against Washington in 2016. New York lost the playoff game to Green Bay and started last season with five straight losses. Beckham only played in four of those games, missing the season opener with an ankle injury. So he is on a personal six-game losing streak.